VA Mortgage Loans Are Booming! Conventional mortgage rates continue to drop. Astoundingly, VA mortgage rates stay nearly half a percent ahead of the pack in the march downward. Today’s VA mortgage rates are the lowest of all available rates. All rates are now the lowest they’ve been in two years. This means now is the best time for new home purchases and refinancing for everyone. Different consumers will qualify for various mortgage rates. Depending on your loan type, your lender will quote you varying rates. Lenders are now quoting rates of between 2.5% to around 4.3%, depending on your credit score and loan category. Those who are eligible for a VA loan and can qualify are finding VA mortgage rates much lower than rates for the same FHA loan, Fannie Mae, or Freddie Mac loan. It just cannot be stated more emphatically: VA mortgage rates are currently the lowest of all commonly known loan types, and still getting cheaper. Lenders suggest that you do not wait for the bottom, however, as rates can rebound quickly. VA mortgage rates averaged 3.96% through the last part of 2014. The trend continues smoothly through the first quarter of 2015. Lenders do not see a speed bump in rates in the immediate future; however, now is the time to buy or refinance. Here it is again: It’s never been cheaper to buy or refinance a home! VA mortgages are available to eligible military veterans as part of the VA Loan Guaranty Program. This means veterans who have completed service in good standing. It is easy to see if you are eligible by going online to the VA website and registering for the eBenefits portal. Once inside, you can access documents such as your Letter of Eligibility. Be aware that being eligible does not necessarily mean that you will qualify for the loan. Once you present your Letter of Eligibility to your lender, they will run your application through the usual steps of credit, income, and employment verification. Most veterans who apply get approved, but be aware that your eligibility is not an automatic approval for the VA loan. The Department of Veterans Affairs guarantees VA loans against loss, which encourages mortgage lenders to extend the lower mortgage rates to veterans. 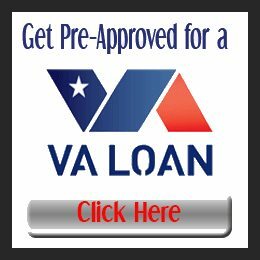 VA loans allow 100% financing, with no down payment required, and no mandatory mortgage insurance. Also, VA loans are fully assumable, which means that a home can be sold with the VA financing transferred along with it. That’s a huge selling point. Think about it: If you lock in a VA mortgage rate near 3.25%, then any interested, qualified buyer will step into your mortgage at the same 3.25% rate, no matter how high rates are at the time of purchase. There are so many other VA loan benefits, including liberal underwriting criteria and access to the VA Streamline Refinance program. This gives you access to one of the quickest and easiest refinance options available. Low mortgage rates have boosted home affordability and put millions of existing U.S. homeowners in financial position to refinance. At the end of 2013, the Federal Reserve announced that it would taper its third round of quantitative easing through 2014. Wall Street thought this move would drive mortgage rates up. The Fed had been buying $40 billion in mortgage-backed securities (MBS) monthly. Once that stopped, experts thought rates would rise as demand for mortgage backed securities dropped. The reverse happened, however. Rates have dropped instead. That’s a very scary prospect to most economists. It is kind of like a car showing empty on the gas gauge, yet still continuing to run at full speed. The driver is flying blind at that point, wondering how much further he can drive safely; or if he is actually running on fumes! It is the fear of the unknown that is gripping the market today while it continues to barrel down the road. What we do know is the solid principle that steady demand in the presence of dwindling supply leads prices higher. With mortgage bonds, higher prices means lower rates. So for now, the trend seems stable. What happens tomorrow is another story. Don’t get caught short if you have any plans of homeownership or refinancing now. Experts believe that it cannot get any better than this. Bottom line is that it’s an excellent time to shop for pretty much any type of mortgage. If you are a veteran, do yourself a favor and get your Letter of Eligibility in order before applying for a VA mortgage. Once you secure that go and get pre-qualified for VA loan. You’ll be home shopping in hog heaven.